DOMUS has invited South African pianist Daniel-Ben Pienaar to perform and lecture at the IMS/SASRIM conference in 2010. Pienaar is a piano professor and academic lecturer at the Royal Academy of Music, and will be talking about the crisis in piano performance as a crisis of lateness (see conference programme). Later that same day he will also perform J.S. Bach’s Partita no. 6 BWV 830, Chopin’s Polonaise-Fantasy Op. 61, and Franz Schubert’s Sonata D959 – works that resonate with his thinking on music and lateness. As part of an academic institution that is continually engaged with questions regarding performance as research and the curatorship of music, DOMUS wanted to give students, staff and conference delegates the oppportunity to engage with Pienaar’s playing and research. His recorded performances present an intellectually probing critique on performing traditions, while at the same time re-imagining the music of J.S. Bach, Orlando Gibbons, Mozart, Schubert and Chopin as being radical of our time. Pienaar suggests a mode of engagement with his material that does not succumb to the dichotomy of subjective freedom set against constraints (of the score, of scholarship, of historically informed practices). Of particular interest to DOMUS, is the fact that he has recognized in the past hundred years of recorded musical history a resource of infinite richness. His work suggests that this recorded history represents a fundamental paradigm shift in the way music is understood, what it transmits and how it can be performed and heard. The resulting musicianship is neither one invested in ideas of individual subjectivity, nor tied to performance practice as positivistic scholarship. Pienaar’s performance and talk will ensure that the conference theme, ‘Echoes of Empires: Musical Encounters after Hegemony’, will also resonate as a topical one in terms of music performance and so-called ‘art music’ repertoire. 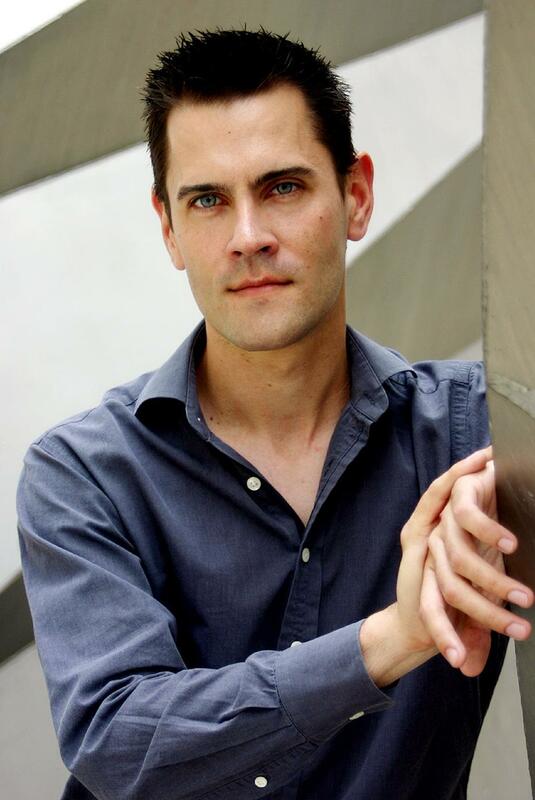 Daniel-Ben Pienaar is a piano professor and academic lecturer at the Royal Academy of Music in London. His discography to date includes the Well-Tempered Clavier Books 1 and 2 (recorded 2003 and 2004, Magnatune); the Chopin Ballades (2003, Victor Japan); the first complete recording of Orlando Gibbons' keyboard music (2006, Deux Elles); the complete Mozart sonatas (2008-9, Deux-Elles); and three discs of music for trumpet and piano - mostly in his own arrangements - with Jonathan Freeman-Attwood (2006-2010, Linn). Projected is a release of Bach's Goldberg Variations. Recent performances include cycles of Schubert's major piano sonatas at the Duke's Hall of the Royal Academy, and Mozart's complete piano sonatas for the music faculty of Oxford University. DOMUS has invited Dr. Raymond Holden, Associate Head of Research at the Royal Academy of Music, to extend his stay at Stellenbosch University after the IMS/SASRIM musicological conference to do a series of lectures on the modern orchestra. This is part of a strategy to explore the possibilities and challenges of discursive academic interaction with performance practice, an imperative created by the Department of Music’s newly adopted integrated PhD. Of particular interest to DOMUS in the work of Holden, is the way in which research, performance and the archive interact. 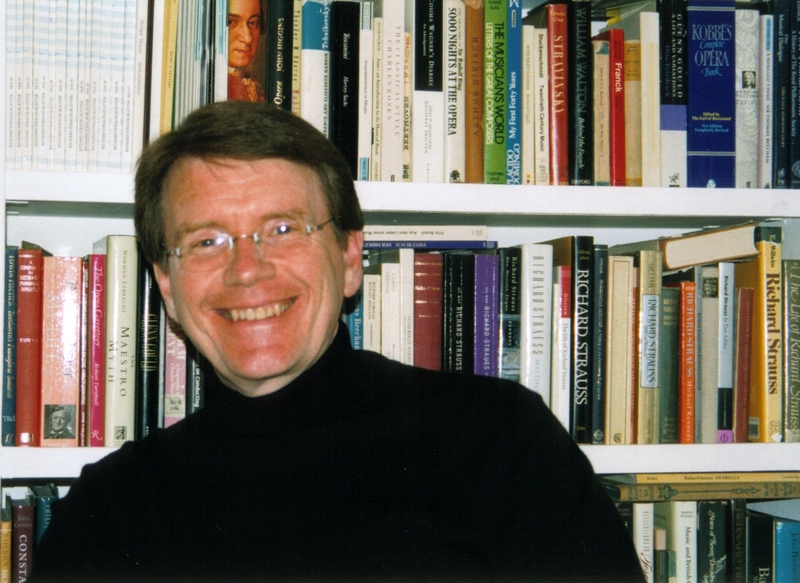 As a performance historian, Holden specializes in the activities of conductors from the late nineteenth and early twentieth centuries and has established a reputation as a leading Strauss scholar. Raymond Holden was born in Sydney, Australia. Between 1978 and 1989 he was assistant to Sir John Pritchard, for whom he acted as assistant and associate conductor with the BBC Symphony Orchestra, the Philharmonia and the Brussels Opera. In that capacity, he performed at the Proms, the BBC Symphony Orchestra’s Winter Season at the Royal Festival Hall, the Salzburg Festival, the Edinburgh Festival and the City of London Festival. As Sir John’s assistant, Holden’s repertoire included multiple performances of Strauss’s tone poems, Mahler’s symphonies, Berlioz’s Requiem, Ives’s Symphony No. 4, Schoenberg’s Moses and Aaron, and many new works and operas from the nineteenth and the twentieth centuries. He is the author of The Virtuoso Conductors (Yale University Press, 2005) and Glorious John (Barbirolli Society, 2007). He is currently writing A Hero’s Life: the Story of Richard Strauss as Conductor (Yale University Press). 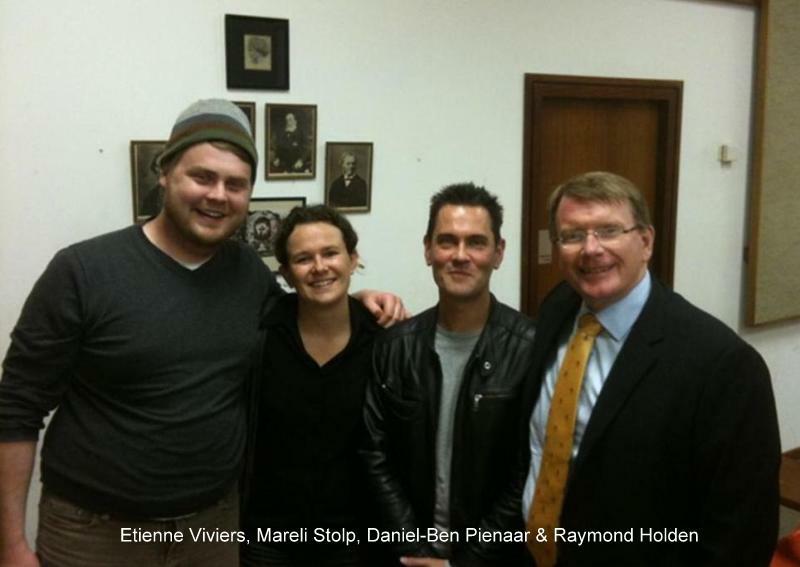 In July 2010 DOMUS hosted two internationally renowned musicians at Stellenbosch University’s music department. Raymond Holden and Daniel-Ben Pienaar, both associated with the Royal Academy of Music, participated in the regional conference of the International Musicological Society (IMS), hosted by the South African Society of Research in Music (SASRIM), after which they extended their stay to interact with the music students at the Konservatorium. Raymond Holden is a distinguished conductor, scholar and writer and is currently Associate Head of Research at the Royal Academy of Music in London. From 19 to 23 July he presented a series of lectures on The Modern Orchestra in which he discussed the establishment of the modern orchestra and the Viennese sound, followed by lectures on orchestras in Germany, Britain and the United States as well as the film orchestra. Holden supplemented his charismatic lectures with PowerPoint presentations that included archival documents (programme booklets, letters between composers and/or performers, etc. ), sound recordings and video footage. He criticised ideas regarding ‘authenticity’ and ‘historically informed performance practice’, saying that these ideals are unattainable since it is impossible to replicate the authenticity of the performance hall with its candle lighting and audience idiosyncrasies. This and other unambiguous critiques lured students to engage in lively debate with their lecturer and his version of the orchestra’s history. Daniel-Ben Pienaar, piano professor and academic lecturer at the Royal Academy of Music, was the keynote speaker during the 2010 IMS/SASRIM regional conference. The title of his presentation was How dare one say it? : A performer’s crisis. During this conference, he also gave a solo recital of works by Bach, Chopin and Schubert. On Wednesday 23 July, he expounded on his keynote address during a lecture at the music department of Stellenbosch. With comparative listening illustrations – various performers’ interpretations of, for instance, Bach’s First Prelude in C major – Pienaar invited attendees to consider alternative performance possibilities that could successfully counter what he calls the ‘international generic’, or the mainstream. In a world where performances of the mainstream repertoire has become ‘globalised’ and in many ways homogenous, he implores performers to evaluate their priorities anew and search for different, creative and enlightened ways of interpretation. During their interaction with students and staff at the music department, both these speakers imparted valuable insights regarding performance practice and the academic rethinking of its possibilities.